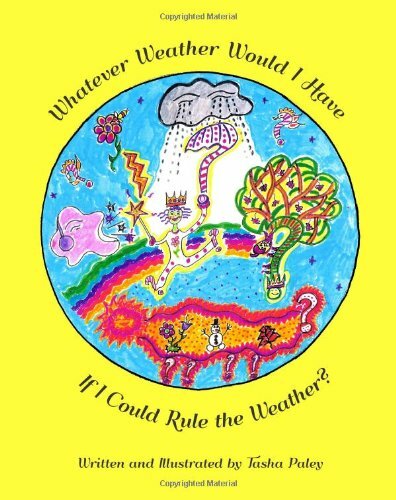 Whatever Weather Would I Have If I Could Rule the Weather? “Whatever Weather Would I Have If I Could Rule the Weather?” by Tasha Paley is for children around eight years old. 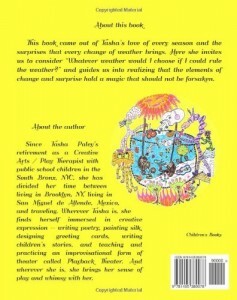 This book came out of Tasha’s love of every season and the surprises that every change of weather brings. Here she invites us to consider “Whatever weather would I choose if I could rule the weather?” and guides us into realizing that the elements of change and surprise hold a magic that should not be forsaken. It’s hard to put down this lovely, inspiring book. But when you do, its spiraling, sparkling bright colors and wonderful words will long remain in your memory. 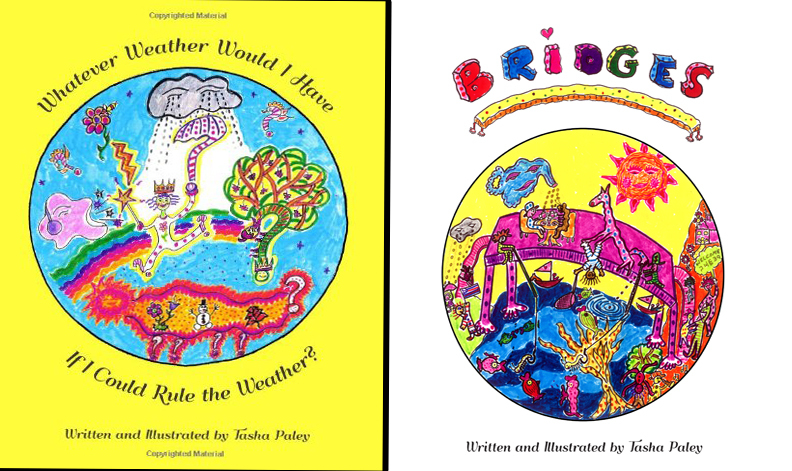 Tasha Paley, an amazing artist and creative wordsmith takes you on a journey for the whole family into a whimsical world that expands the imagination with awe and wonder. This interactive book is a truly unique experience to share with your family and friends of all ages. It delivers magic that will keep you turning the pages but lingering lightly and thoughtfully entranced on each and every word and on the illustrations, so lovingly rendered. Wondrous, charming, and wise! Forecast: Bright future! Dr. Milton Polsky, Former Professor, Child Drama, NYU, CUNY, and Hofstra University: Co-author of Drama Activities for K-6 Students: Creating Classroom Spirit–and Roberta Polsky, former Early Childhood for D.O.E. 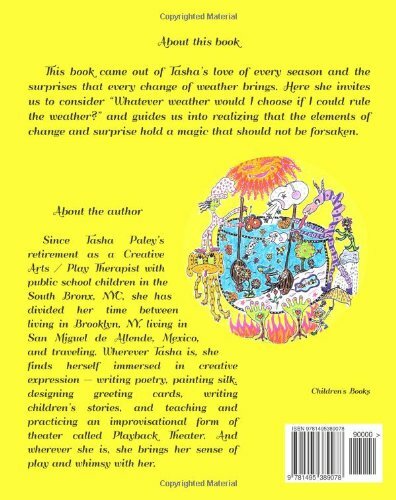 Not to be missed is Tasha’s mist of interactive fantasy splashed with homonyms, rhymes and delightful illustrations to match – refreshing the child in us all. 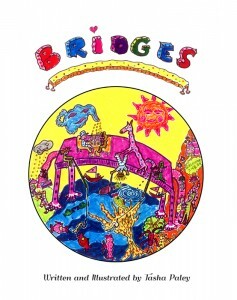 their imagination and artisitic abilities to create bridges never before conceived of.